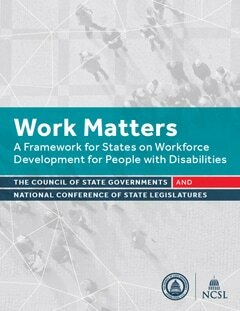 "Work Matters: A Framework for States on Workforce Development for People with Disabilities represents the culmination of a yearlong joint task force effort of state policymakers convened by NCSL and the Council of State Governments (CSG) to address barriers to employment and develop policy solutions to build a thriving workforce that is disability inclusive. Through the work of the task force, state legislators, legislative staff and state executive branch representatives explored the causes of these barriers and devised bipartisan policy options supporting increased employment access and opportunity for people with disabilities." Dr. Caldwell, from the CEED Project team, served as an advisor on the subcommittee on Entrepreneurship, Tax Incentives & Procurement. We have been working together with Words I Wheel By to bring you the Original Disability Holiday Gift Guide, featuring businesses by entrepreneurs with disabilities! ﻿﻿﻿﻿﻿﻿﻿We have created plain language summaries for all of our published articles, recognizing that this is both an access issue and an open-access issue. You can find these summaries on our "Articles" tab in the menu, where there is also button to listen to an audio version of the summary and a link to where you can find the full-text article on the journal's website. Below is a link to our best practice recommendation for the Association of University Centers on Disabilities (AUCD) on Plain Language Summaries for academic publications. ​Below is a link for a blog post explaining the use of Plain Language Summaries for Early-Career Professionals in the field of intellectual and developmental disabilities. 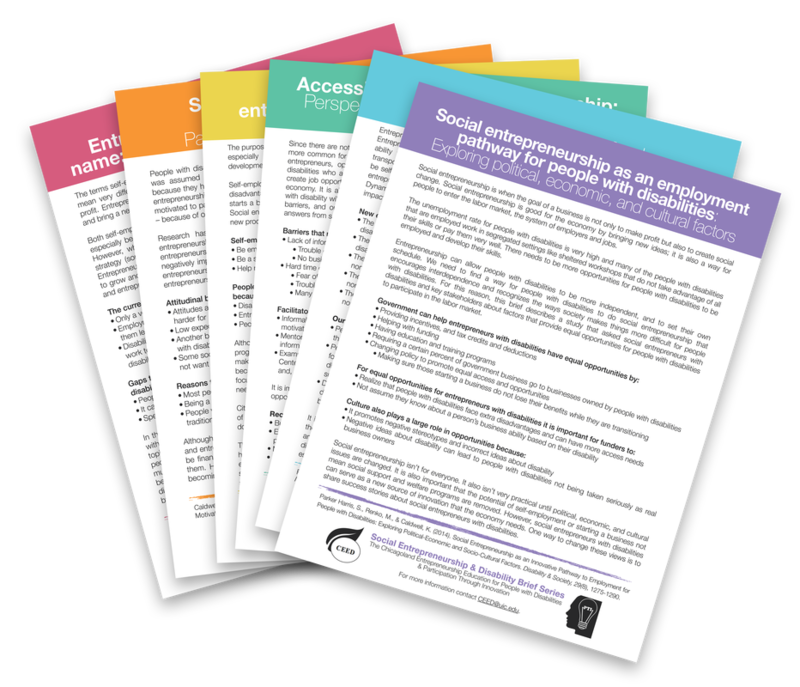 This handy tool gives a broad overview of disability and entrepreneurship that summarizes much of our research to date. 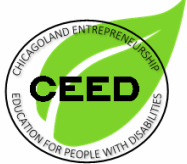 As an extension of our work with Participation Through Innovation (PTI), the CEED Project has developed a community resource guide for entrepreneurs with disabilities. This brings together a lot of information and resources gathered through focus groups with social entrepreneurs with disabilities, expert interviews, and existing literature in a way that you can easily use and understand!